The idea of a “job for life” is now a thing of the past. That's why around 30 million Americans operate a home-based business, many of them pursuing an online business model of one type or another. So, how can you possibly choose the right online business idea for you? But there's good news! You see, you're alive at the best possible time in human history to start your own business. Never before has the barrier to entry been so low, startup costs so minimal, or the income potential so vast. You have access to resources and tools that didn't exist a decade ago, social media being just one key example. In this article, we're going to take you on a journey through our top 13 online businesses, any of which are perfect for a home-based internet business. And if you are reading this you can take heart you getting advice from someone that has actually started a successful online business. I've been a full-time internet entrepreneur since 2011! So, not only is this “online business” stuff possible…but I hope to provide you some good advice to get you started with your next venture. Starting an online business isn't a decision you've come to lightly. In fact, we're pretty sure you've talked yourself out of the idea of being self-employed as many times as you've convinced yourself it's absolutely the best possible decision for you right now. But an even more pressing need is earning enough money to replace your 9-5 income, or just to pay those extra bills, with the sweat of your brow. And this is the point where you need to stop and ask yourself how quickly you want to replace your income. A product-based online business is one where you're selling products directly to customers. 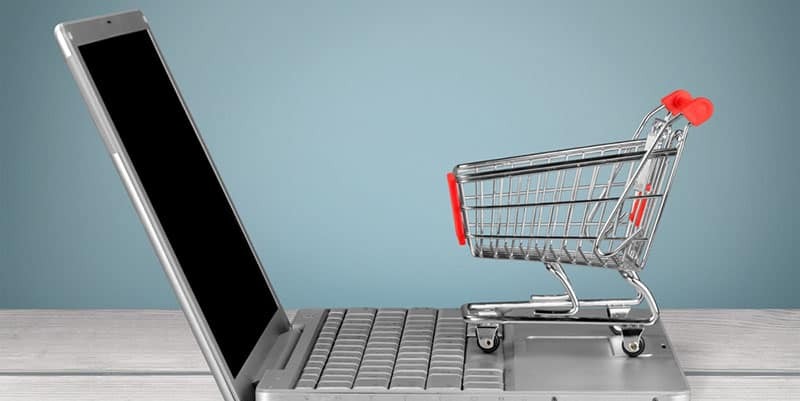 E-commerce stores are a perfect example of a product-based internet business. Just be aware it can take several weeks or months for this type of business to earn money. Service-based businesses are where you exchange your time for money, but at a higher rate than a daytime job. The real beauty of this type of business is that you can start earning money almost immediately. There's constant demand from businesses for virtual assistants, freelance writers, web developers, and SEO consultants, for example. When you compare any online digital business to its brick-and-mortar retail equivalent, you'll understand why tens of millions of people all over the world take the online route instead. That's not a typo – it genuinely does mean zero dollars and cents. If you can find any ethical and legal brick-and-mortar retail business you can start with exactly nothing, then we'd love to hear about it. Oh, and that doesn't include the “no money down” property flipping model. Now that you have more insight into why owning an online business is such a great idea, it's time to look at exactly which are the best online businesses to start in 2018, and beyond. One of the simplest side hustles to get started with is flipping used textbooks on Amazon. While there are a couple of different approaches to take, the one I like best is buying used books on Amazon and then trading them into Amazon (via the Amazon trade-in program) and pocketing the difference. You can start searching for deals manually or use TexTrader to speed up the process significantly. Start up costs: $50 or the price of the first used book you decide to flip. Income potential: Anywhere from $50 to $1,000 per month. 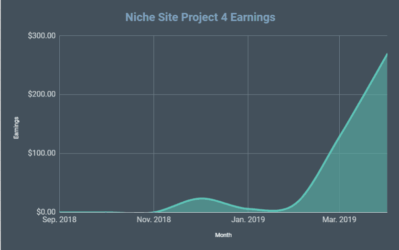 This model gives me warm fuzzies because it's a simple online business that's also enjoyable and has the potential for almost 100% passive income. Affiliate marketing, in a nutshell, is about selling products on a commission basis for a range of companies, including major brand names. There's no need to buy stock, you don't handle packing or shipping, and you never have to deal with customer service issues. Niche sites are smaller and focused on a specific type of product or service, featuring several dozen pages of content. Authority sites, on the other hand, tend to have hundreds of articles, completely covering all known keywords for a given topic. Income potential: Anywhere from $50 to $100,000 per month. 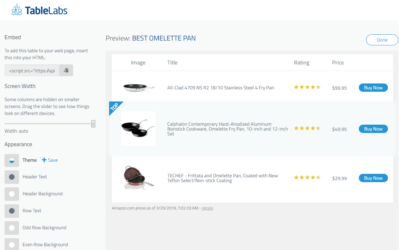 Success story: TheWireCutter.com – this affiliate site recently sold to The New York Times for US$30 million. **Want to learn from me directly** about how to build a successful affiliate website that can potentially turn into a significant online business? 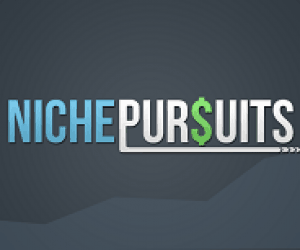 Join my Niche Pursuits Insider training to get all my online business “blueprints” as well as gaining access to an active group of other people building a new online business right alongside you. Get access to all the training + ongoing live webinars + a private Facebook group to make sure all your questions are answered. If that's the case then Etsy is an online business model with a twist because it provides crafters like you with a dedicated platform to sell your handmade or vintage goods from. And don't think you’ll have to nickel-and-dime your way to a profit – it's actually the opposite. Although Etsy originally launched as a platform solely for crafters, it's expanded to include pre-made vintage and antique items. Some sellers do try to circumvent the system to sell mass-produced items, but Etsy shut those stores down as soon as they find them. So, what sells well on Etsy? Here's a complete course that teaches you exactly how to establish a successful etsy business. Personalized items such as mugs, pillows and wedding favors are always popular. Handmade bags, stickers and vinyl transfers, handmade jewelry and charms, and other fabric items also sell in volume. If you're not artistically inclined then you could set up an Esty store that only sells the raw materials of the crafter trade to others. Income potential: The biggest Etsy sellers earn tens of thousands of dollars per month. Success story: There are too many to mention individually, but here’s a selection. A particularly hot e-commerce market right now is selling monthly subscription boxes. One of the most famous examples of this business model is the Dollar Shave Club. These guys started out in 2012 selling affordable men's grooming boxes each month. By the time 2015 rolled around the Dollar Shave Club was acquired by UniLever for US$1 billion. Shopify has become very popular in the online store industry because it offers a stable e-commerce platform, with secure payment options. Success story: The Dollar Shave Club. **Want to learn from someone that has built a successful online store? ** Check out Steve Chou's 6 days free mini-course that will teach you how to create a profitable online store. We kept the Fulfillment by Amazon (FBA) business model separate to the e-commerce section above. The reason for this is that Amazon FBA is a little bit different to regular e-commerce. This difference is it allows you to piggyback off the success of the biggest online retailer on the planet – Amazon. How would you like to come up with an idea for a range of products you want to sell online, but to have Amazon do all the hard work of advertising, picking, packing, shipping, returns, and dealing with customer services headaches queries for you? It is, and that's exactly what Amazon offers their FBA sellers. Start-up costs: An Amazon ‘Professional Sellers Account” only costs $40 per month, but you’ll need around US$2,500 in total to get started. That figure does not include advertising or professional photography. Success story: Spencer Haws. Hey, we’re all about celebrating success here. Chris Guthrie is also a shining light in the FBA business space. This is our first example of a service-based online business, and it's ideal for anyone who wants to earn money from a side hustle, but without having to wait tables or mow lawns. There's nothing wrong with waiting tables or mowing lawns, by the way – they're both great offline side-hustles. So what exactly is a virtual assistant (VA)? It's also possible to scale up the idea of being a solo VA and becoming an agency instead. In this model you find and vet virtual assistants for business owners, and get paid a referral fee for doing so. Wait…somebody will pay you to manage their emails for them? You'd be amazed at just how many small business owners and entrepreneurs are buried under an inbox of 10,000 – 20,000 emails that they don't have time to categorize, prioritize or reply to. If you're trying to decide on what virtual services to offer, all you need to do is sit down and list out what skills and abilities you have. Everyone has a skill they can sell as a virtual assistant. And even if, for some odd reason, you don't then you can always learn one by taking courses on Udemy or Teachable. The odd thing about having a VA business is that once you develop a reputation, then word-of-mouth advertising takes over. All successful VAs wind up hiring other people to help them because they get so swamped with client work. Startup costs: A laptop, and Internet connection and a $10 account on Upwork. Success story: Gina Horkey, but she’s just one of many successful VAs out there. They say that everyone has at least one book in them. While that's true, the traditional publishing industry (or trad pub, for short) didn't support everyone's dream of seeing their novel on the shelves of their local bookstore. Traditional publishing had settled into a comfortable rut of turning down aspiring authors left, right and center. They could do this because a trad publishing deal was the only option available to authors. Their only other choice was vanity publishing, which is expensive and a waste of time. Jeff Bezos completely disrupted that industry way back in 2007 when Amazon launched the first Kindle. Industry experts (cough) were quick to dismiss the Kindle, saying it was a fad. They had an equally dim view of the Kindle Direct Publishing (KDP) platform, which allows people to upload their own books to the Amazon marketplace. There are now more than 3.4 million self-published indie books on the KDP platform. And both new and established authors release hundreds of fiction and non-fiction books every single day. If nothing else, the indie publishing scene proved that dismissing business opportunities without fully understanding them can be a big mistake. Just ask Barnes & Noble. Startup costs: Zero, but ideally you'll need at least $100 for a great cover for your book. You would then ideally have another $100 for an editor and $100 to market your book once it's finished. That’s a total investment of $300 to write and publish a novel that could make back 10x – 20x what you invested in it. Income potential: A single successful book can earn you anywhere from $100 – $500 per month. A successful series of books could earn you up to $50,000 per month within your first year as an indie author. Success story: Dave Chesson is a successful publisher with several books under his belt. He blogs regularly with tips for self-publishing books and has also created Publisher Rocket that will help you find the best idea for your first (or next) book. 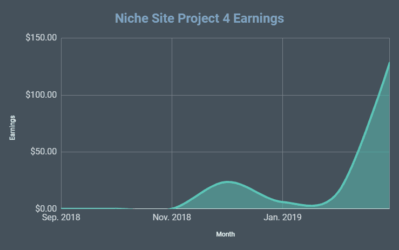 The only real downside to running an SEO business is that you'll need to invest in a handful of tools to give you the best possible chance of landing those 4-figure per month client retainers. Start-up costs: Long Tail Pro ($37 per month), SEMrush ($99 per month) or Ahrefs ($99 per month). Long Tail Pro is essential for client keyword research, whereas SEMrush and Ahrefs are very useful when analyzing where your clients' competitors rank in Google. Success story: Daryl Rosser is a perfect example of a local SEO consultant earning an enviable monthly income from his business. The traditional model of banks having a monopoly on loans and currency has finally been turned on its head after several hundred years. Although the first bank was set up by the Medici family in 1472, the loans process hasn't changed since then. Then in 2005 the first Peer-to-Peer (P2P) loans took place. The P2P lending model directly matches lenders with borrowers, and usually at very competitive interest rates. So, even if you have lousy credit, there's still a good chance you might qualify for a P2P loan instead. There can be more risk for the lender in a peer-to-peer loan, but the dividends are worth it. Peer-to-Peer loans are really just a form of crowdfunding. But the difference is that P2P lenders “invest” in borrowers, instead of investing in business start-ups. You use an intermediary P2P platform, such as Lending Club, to do all the hard work for you. They're just one of the many popular P2P loan platforms online, including others like Prosper, BitBond, and Zopa. To give you a basic example of how P2P lending works, let's say you find a borrower on a P2P loan platform that needs $10,000. You offer them a loan for the full amount but at an 8% interest rate over 3-years due to their unstable credit rating. You could also offer to part-finance the loan, with other lenders investing in the remainder of it. If you invested the same money in a standard savings account in the United States you'd earn a whopping .01% to 1.45% in interest per year. Banks actually offer those rates with a straight face! The lending platform then takes a 1% cut for matching lender and borrower, leaving the investor with a healthy 7% return on their investment. Startup costs: You don't need to be Warren Buffet to get involved in the peer-to-peer lending market. In fact, some peer-to-peer success stories have started with as little as $25. Learning how to start a blog isn't all that difficult either. You can choose to use a free WordPress or Blogger.com account to get started. 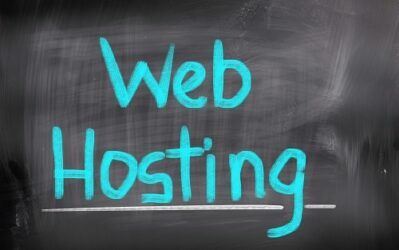 Or if you can afford to invest about $20, then you can register a domain name, get a cheap web hosting account, and install WordPress from there. One of the biggest misperceptions about blogging is that you need to write these long, thought-provoking posts that make people stop and think about their life. Your blog doesn't need to be life-changing. In fact, you'll make more money if you focus on helping your readers solve whatever problems they're facing. Or even just help them find a cool new product or service they didn't know they needed. The truth is that blogging can be as visual as you like too – there are plenty of photo and craft bloggers out there with massive audiences. If you're wondering how to make money from your blog, then stop. You can't monetize a blog without an audience, and you can't get an audience without creating content. Build your audience first, and then start looking at options like AdSense, Amazon affiliate selling, or paid guest posts. Start-up costs: You can start out with a free WordPress account and then upgrade to a paid account later. Registering a domain name plus cheap web hosting will cost you about $20. A premium theme for WordPress costs about $50, which is ideal if you can afford it. Income potential: Blogs with a huge audience can earn anywhere from US$10,000 to US$100,000 per month. Check out my very own Organic Traffic Formula. This step by step course will teach you how to grow a site and rank it in Google. This is exactly how I've built and grown all my sites over the past 10 years. Ever wondered where the term “freelance” comes from? Freelancers used to be soldiers-for-hire, willing to sell their lance to the highest bidder. We're not really sure how that got applied to writers-for-hire, but they do say the pen is mightier than the sword. Speaking from experience, selling your services as a freelance writer is one of the quickest ways to earn money online. The weird thing is that you don't need a Masters in English or journalism experience to be successful. In fact, having too much knowledge can actually get in your way of making money as a freelance writer. What you do need to get clients are samples of your previous writing work. And that means you'll need to create some if you don't have any. One of the quickest ways to build a portfolio to present to clients is write articles for sites like Constant Content. Their editors are merciless, so that means they only approve well-written work. Some writers only work on specific types of writing, such as technical writing. Other freelance writers will work for whoever is willing to pay them. But writers who specialize earn more than generalists. That's been proven time and time again. Income Potential: Freelance writers charge anywhere from 1c per word to $1 per word, depending on their experience and ability. Let's assume you have money you want to invest in an online business, but you have limited free time in which to do that. In fact, you'd just like to buy low and sell high, like they do in the property market. There's my “Flipping Vegas” addiction rearing its ugly head again. If you're the type of personality that likes the maximum return for the minimum of effort (and who doesn’t?) then you might just fall in love with the idea of flipping websites and domains for profit. There are thousands of website owners looking for somebody to buy their web properties. Now, most investors who buy these sites will continue to run them, banking the profits. They take a long-term approach to their investment, not hoping to recoup their investment for several years. But there are other speculators looking for “Golden Goose” websites. They're looking for sites where the owner doesn't understand the true value of their web property. 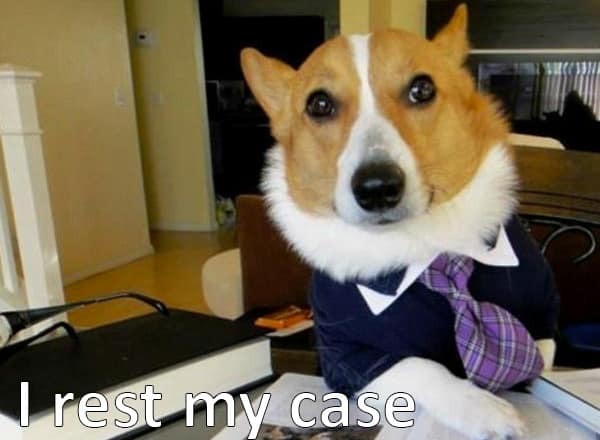 Sometimes they've made a handful of mistakes with their SEO that's caused their traffic to tank. Sometimes they just haven't monetized it properly. So, as an investor you could buy a website for $10,000. You then hire an SEO consultant to optimize it for $1,000. Once the SEO work is complete you flip the site several weeks later for $20,000. That leaves you with US$9,000 in profit for doing almost no work. Startup costs: It's entirely possible to start a domain flipping business for as little as $10. Running a website flipping business on a tight budget is possible, but you'll realistically need $500 to find a worthwhile investment. Income potential: The sky really is the limit here. I'm aware of one site that was bought for US$30,000 and is being flipped two years later for almost US$400,000. Success stories: Chris Clark registered the domain name Pizza.com in 1994 for $20 and flipped it in 2008 for US$2.6 million. Similar opportunities still exist today. A great way to learn more about starting a website is through my Organic Traffic Formula Course. Check it out here. While this online business model does involve selling products, they're not physical ones. Instead digital products can be anything from a PDF file, to a membership site, a training course, or a software product. But the one thing to remember about selling digital products is this: You create it once, and you sell it many times over. A digital product can be resold to new customers all year round. This is the exact opposite to the e-commerce industry where you're constantly looking for new products to sell. Infoproducts can cost almost nothing to produce, and they don't require space in a warehouse. Customers receive their order by email, or via a download link, so there's no shipping involved. Creating a digital product can be as simple as writing a document in Microsoft Word, saving it as a PDF file and then uploading it to Clickbank. 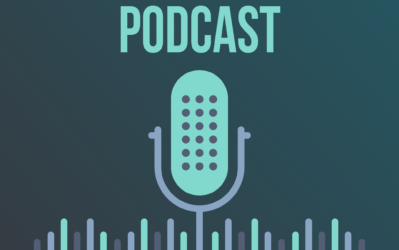 Although the days of selling high-priced PDF “eBooks” is a thing of the past, there's still huge demand for digital products across a wide range of niches. An example of this is all the cryptocurrency training guides currently available online. People from all walks of life want to invest in cryptocurrencies because of the crazy success of Bitcoin. A digital product teaching people about crypto might only sell for $27, that's pretty much 100% profit for the creator. Now with the advent of SaaS (Software as a Service), software creators are hosting their products online. Your customers don't have to download and install a software installer because your product is available from the cloud. Startup costs: You can create an eBook with a word processor, a few hours of your time, and some stock images. Your total production costs would be no more than $20. You may need additional money if you want to pay for advertising or promotion. But which online business idea should you choose? Most entrepreneurs will start several over a period of a few years. This is so they never have to rely on just one stream of income. The online business world is always in a state of flux, so it's best to never to have all your digital eggs in one basket. But yes ranking websites in the first page of Google search results is not at all easy and here is where you need to learn and master the best SEO practices so you can become a high paid SEO consultant who brings results to his clients. Selling information products from website is also a great idea because there are so many bloggers like Pat Flynn, Darren Rowse etc who are killing it by selling their digital products. Excellent article as always and thanks for the mention. Kindle sales have been an excellent way for someone with a bit of writing capability to get their book in front of a hungry market. I started a sports blog w/ like a $1,000 investment. It ended up making like $2000 – $3000 per month and I eventually sold it. I wrote tons of articles but I really enjoyed doing it and am looking for my next opportunity like this. What was your sports blog. Please mention its address. Loads of Business ideas thank you. I go with SEO marketing good platform to know more about current marketing skills.